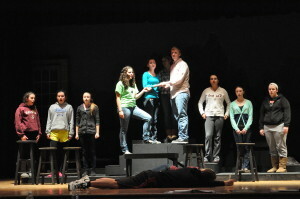 T he Granville High School Drama Club is rehearsing for a production of The Fantasticks next weekend. The piece touts itself as being the world’s longest running musical. The play, which will take place in the high school auditorium, will be shown on Friday, March 22, at 7 p.m. and March 23 at 2 and 7 p.m. All tickets are $5 at the door.